I have to admit it: I was drawn to this book solely based on the hot guy on the cover. I know, TERRIBLE. Don’t judge a book by its cover, etc., but come on. Look at this guy. How can I not read his book? Honestly, I was so pulled in by the guy that I didn’t even know what genre of book this was when I chose it—I was thinking historical, but it’s actually a contemporary/paranormal romance/urban fantasy. THE PLOT: This is a modern world in which Norse gods exist and super-soldiers are genetically created in labs. Leif Skarsganger has been sent to earth by Odin to battle minions of Loki. Because of political maneuvering in Asgaard, Odin and Freya can’t confront Loki directly, so they send Leif and his team of warriors in their place. Leif’s berserker, or warrior spirit, almost controls him he goes into battle. Naya and her brother, Scott, spent 10 years as prisoners in a laboratory being experimented on. She finally manages to escape with her brother, but while the experiments have given her enhanced intelligence and fighting skills, Scott remains in a coma. She creates a new life for herself while leaving Scott in a safe place with medical attention, but nothing seems to help him. When Leif and Naya meet, he is being beaten pretty badly by Loki’s wolverines. Naya saves him, and a magical connection is formed between Leif’s berserker and Naya. Now, Leif must make Naya his bride or lose all control of his berserker and be summoned to the afterlife . But Naya has spent too long running and has too much to lose to believe what this viking is telling her about Norse gods. What will it take to earn her trust? Will she ever fit in with immortal vikings? And while she looks for a way to save her brother, she finds that she may have to save herself as well. Leif is likable and attractive even when he’s infuriating to twenty-first century sensibilities. Naya is a strong heroine, but the reader roots for her to find the support system/family she so desperately needs. She and Leif are a good couple, very well matched, and there are some steamy love scenes. There is also plenty of supernatural adventure too, though, which is what makes me categorize the book as urban fantasy. There is a great cast of supporting characters…Leif’s warriors are well-defined, and the author’s website shows that future books are planned for several characters. It’s easy to become invested in this cast of characters and look forward to their next adventures. BOTTOM LINE: Despite not knowing what I was getting into, I thoroughly enjoyed this story and am looking forward to its sequel, Viking Warrior Rebel. If you like Richelle Mead’s “Dark Swan” or “Succubus” series, for example, then this book (and series) will probably appeal to you. TEACUP RATING: I give Viking Warrior Rising four teacups out of five. 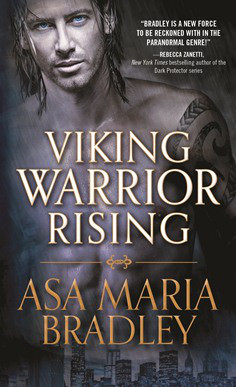 ON SALE DATE: Viking Warrior Rising will release in paperback and eformats on November 3, 2015. I have to apologize to readers and authors for the lateness of October reviews. A pet emergency at the beginning of the month just threw me off entirely (although thankfully, it ended happily). On to the reviews! Another gorgeous cover for this series! As you may recall from this review for The Jewel, Book 1 of the “Lone City” series totally sucked me in. After reading the novella The House of the Stone about Violet’s friend Raven, I was totally ready to continue the ride. NOTE: This review contains spoilers for Book 1, The Jewel. THE PLOT: When we left off at the end of The Jewel, poor Violet had been caught with her boyfriend, Ash, who was supposed to be the male “companion” of Carnelian, niece to the Duchess of the Lake. This is pretty much a death sentence for Ash, and the Duchess makes it clear that Violet’s life of luxury is over…she’s now just a baby-making vessel. Luckily for Violet, a resistance movement that includes the Duchess’s own son, Garnet, is ready to help them escape. But Violet isn’t leaving without Ash or her friend Raven. The first half of the book is really about the escape. Can Violet possibly hope to make it out through the various levels of society to safety? And even if she can, will all her friends be as lucky? And where can they possibly be safe? The second half of the book is the start of learning much more about the history of this dystopian world, a bit about the augeries, But answers seem to lead to even more questions, and the girls begin to really take hold of their powers…all building toward another surprise ending that leaves the reader waiting for Book 3. MY TWO CENTS: I felt that this book was obviously divided into the two parts I mentioned above. The escape includes quite a bit of tension. There are a lot of near-misses, the friends are split up, and the reader can never be sure they’ll all make it. I have to give a shout-out to my new favorite character: Raven. I absolutely loved her novella, and her strength is incredible. If you haven’t read The House of the Stone, you really need to. What poor Raven goes through makes Violet’s life look truly cushy. You also learn more about Ash, and his horrible life as a male prostitute. The author does a nice job of fleshing out the character with some depth and real emotions, like shame and worthlessness. I mentioned in my review of The Jewel that men are almost unnecessary in this society, and here is a prime example of how man are treated as “things.” It’s a turnaround to see men in this position instead of females. In the meantime, our female protagonists are gaining power as they learn to take full advantage of their magical gifts. BOTTOM LINE: Still enjoying this story; still calling it a guilty pleasure. If you enjoyed the first one, you’ve got to continue. If you haven’t read The Jewel, it’s out now in paperback. I’ll be waiting impatiently for the next book. TEACUP RATING: Out of five teacups, I give The White Rose between three-and-a-half and four. 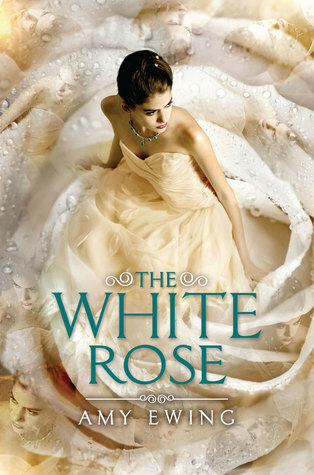 ON SALE DATE: The White Rose is available now in hardcover and eformats. Wendy Darling has always been one of my very favorite Disney characters. I can’t explain why, exactly…the voice work? the way she’s drawn? (Obviously, the racism toward Native Americans in Peter Pan is horrible, but the art, done during Disney Animation’s first Golden Age, is spectacular.) Maybe it’s her calm and soothing nature. Of course I’ve read Peter Pan by J.M. Barrie, and I’m likely to watch any kind of Peter Pan movie or show. (I admit…the live TV musical was an exception!) So I was excited to receive an electronic ARC of this retelling. THE PLOT: In this version of the story, Wendy is 16 years old and embarking on her first romance with her childhood friend, Booth. Unfortunately, he’s the son of the local bookseller, and therefore of an unacceptably lower social class than the Darlings. Wendy’s father is a kind man, but he absolutely forbids the relationship. Between this and harsh treatment from her moody 14-year-old brother, John, Wendy is in emotional turmoil when handsome Peter Pan explodes through the nursery window, inviting Wendy, John, and five-year-old Michael off to his home in Neverland. Once in Neverland, the kids begin forgetting about their home and loved ones (including Booth). Wendy’s attraction to Peter is like a force of nature, and she just wants to be near him. She also wants to keep her brothers safe, but John, dubbed a general by Peter, isn’t having it. As Wendy and John’s relationship deteriorates and Peter overwhelms them all, Wendy struggles to remember her past. But what is Peter’s real purpose in bringing them to Neverland? Why is Wendy in particular so important to him? MY TWO CENTS: I absolutely devoured this book, which pulled me in right away with the introductions to the Darlings. I was a little taken aback at first by the ages of the children. I can’t remember if their ages are mentioned in Peter Pan, but I generally think of the children as ages 12, 8, and 4 or thereabouts. Making Wendy 16 years old really both takes away and adds to the plot possibilities. The whole point of Wendy being just prepubescent is that she’s trying to avoid growing up, not leap into adulthood. On the other hand, a teenage Wendy who has already had her first kiss opens up the exploration of a truly romantic relationship between Wendy and Peter. And this is obviously one of the main themes of the book: the difference between innocent first love and sexual awakening. The presentation of John also takes some adjustment. In Disney’s treatment, John is kind of a nerd; he wears glasses and grabs his father’s top hat to wear with his nightshirt. He’s also still definitely a child.This teenage John seems to almost hate Wendy, even more so after their arrival in Neverland. What is up with him? Is he afraid of Wendy usurping his role as their father’s favorite child? He seems to hold a grudge against her for being a girl, using her looks to attract boys, and basically being a living doll. Is John having trouble with gender roles? Is he jealous of Wendy’s friendship with Booth while he, her own brother, is isolated and lonely? Or is he just being a typical 14-year-old brother, magnified by the lack of supervision in Neverland? Finally, I’m enjoying the presentation of Evil Peter Pan. Anyone who watches Once Upon a Time has already experienced an evil Peter whose goal is to stay young forever no matter what it takes. This Peter obviously wants Wendy. Why choose her, specifically? What led him to her nursery window? How much of what Peter has told Wendy is the truth? And why does he use Tinker Bell like an ex who will still do anything for her guy? BOTTOM LINE: I thoroughly enjoyed this book. In addition to being a well-written story, it makes you want to analyze it. 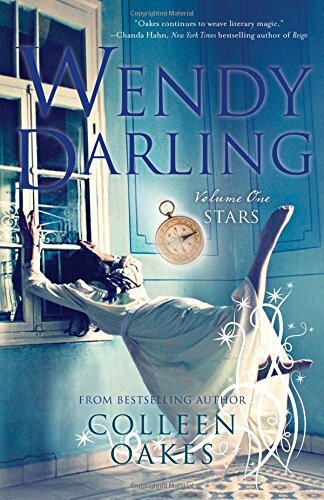 I can’t wait for Volume Two—Wendy Darling: Seas. If you’re a Peter Pan fan, don’t miss this. ON SALE DATE: Available on October 13, 2015, in paperback and eformats. Note: Review is based on ARCs provided by the publisher via Netgalley in exchange for an honest review.